When I posted my mystery negatives last week, I thought people might be able to identify the location eventually if I was very lucky, but assumed the chance of ever knowing who any of the people are were was virtually non-existent. However with the huge help of Norman Dunn and the Hebburn message board lots of progress has been made. 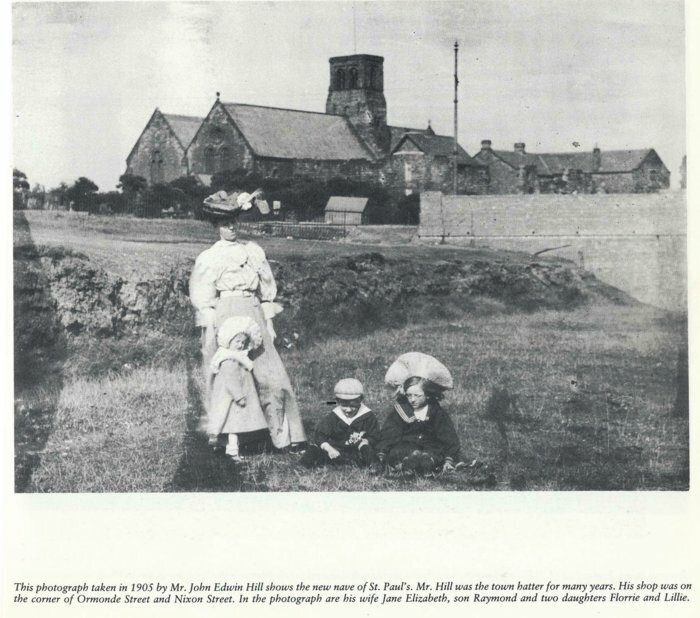 They were very quickly identified as being taken in Jarrow, but now a photo clearly taken in 1905 on the same day of the same family has emerged from a book. This names them as Jane Elizabeth Hill and her children Raymond, Florrie and Lillie, who can be seen again in this studio portrait. 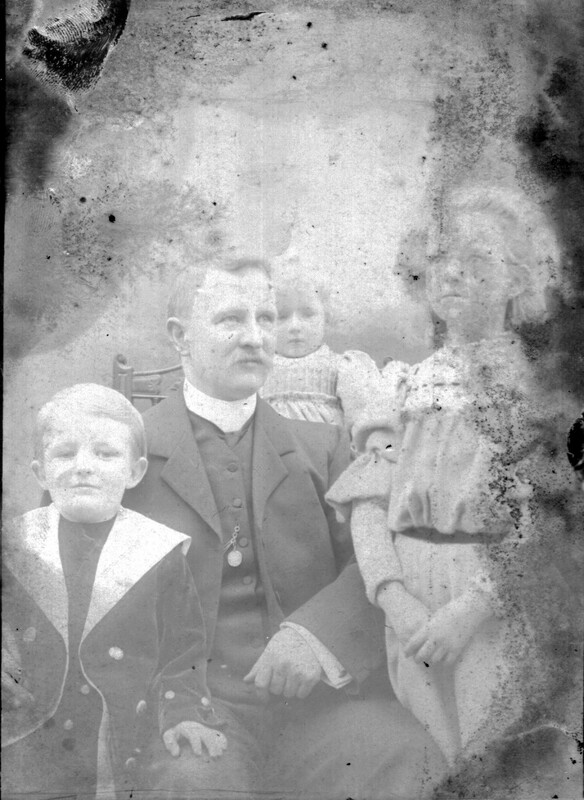 Their father John Edwin Hill being the town hatter, I don’t think its too much of a jump to say this is probably him with the same children on the same studio chair, although perhaps looking a little younger ? This has really shown me the huge powers of the internet and I thank everyone involved for their help again. I have donated the box of slides to Norman so he can continue his investigations on their home town. Brilliant. Once upon a time that would have taken months of dedicated work.